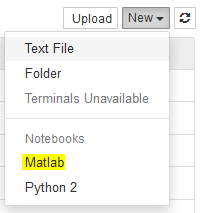 This entry was posted in Tutorial and tagged Jupyter, MATLAB. Bookmark the permalink. ← How to add code coverage (codecov) to your R package?